5 brilliant bar blackboard ideas - Nisbets Australia Blog - Industry news, trends, recipes and more! Whether you’re just getting started with cocktails or have been looking to update your pavement board or table chalkboards for a while, sometimes it pays to be light-hearted. Check out the fun these bar owners have had with their advertising boards and see whether you get any ideas for your next great board. With a range of chalkboards, brightly coloured liquid chalk pens and board cleaner available, grab everything you need to bring a smile to people’s faces and more customers through your doors. Does your business have a lot going for it? Sometimes just laying it all out there is a great way to grab people's attention, particularly if your outside space or beer garden isn't easy to spot. Just remember, eagle-eyed customers will spot any grammatical errors! 2. Let the staff have their say! Your staff know what people want from your business and they know what your selling points are. Unfortunately... they may be a bit optimistic about their own value as a marketing tool! Once customers stop oggling the staff, draw their eyes to your specials boards and drinks offers with super bright liquid chalk pens. Silly though it seems, the fact potential customers have to interact with this nifty sandwich board means they're already considering and thinking about the business behind it. It's a great way to get passers-by talking about your establishment. Ok, people's culinary and drinking tastes are getting more refined, but nobody wants to feel intimidated by a menu. Breaking it down is a tongue-in-cheek way of showing that you don't take yourself too seriously and also helping make customers' ordering process quicker and easier. This could lead to bigger profits. It's not just outdoor blackboards which can transform your business, as they're also a great method of giving information to your customers inside your bar. Or, in this case, persuading them that they should purchase another drink. 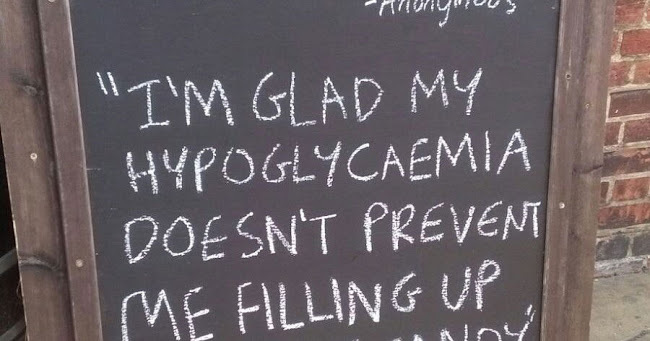 As such, blackboards can be used to make people laugh, but they're also vital marketing tools. Whether persuading people to pop into your business or helping you make easier and quicker sales, have some fun with blackboards and your business will benefit. What's Happening for International Beer Day?